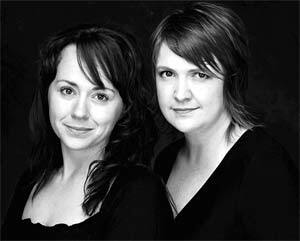 Joanne and Amanda have been working together for the last nine years during which time they have performed at numerous venues including the Purcell Room, London and St David’s Hall, Cardiff as well as working extensively for Lost Chord, a scheme which takes concerts to alzheimer sufferers. Joanne represented Wales in the 2001 Singer of the World Competition. Her extensive concert and oratorio work has taken her to Germany, Malta, the USA, New Zealand and Australia. Amanda and Joanne are available to play for recitals as well as for more informal settings of after-dinner entertainment. Their repertoire is vast, with music from Carmen to Cullum. 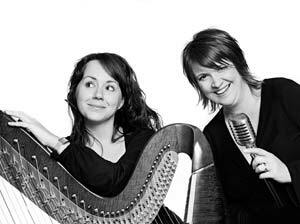 Their particular love lies with jazz and as a jazz harpist duo, they never fail to wow the crowds. To listen and purchase their recent cd click here.